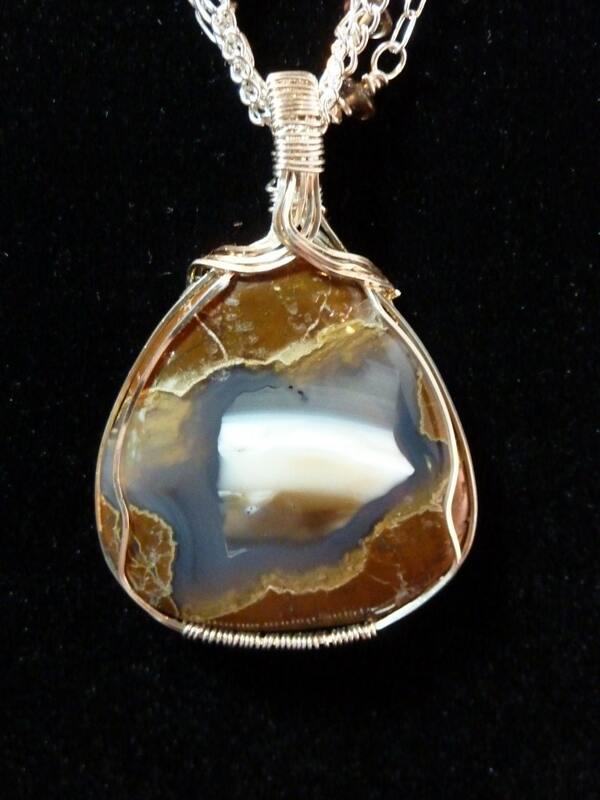 This is one of my favorite agates!!! 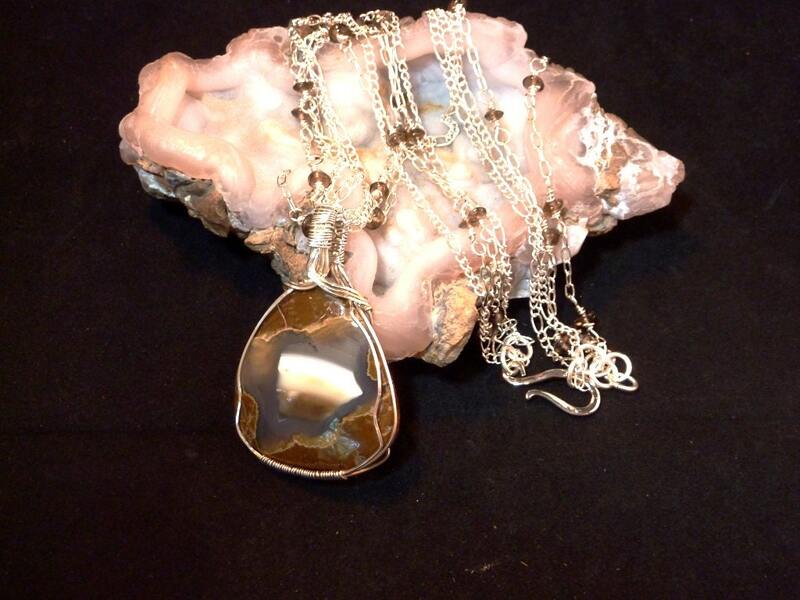 It is wrapped with Sterling wire, and it dangles from a hand made smoky quartz hand made chain and two coordingating delicate chains to enhance the striking colors of the agate. It is surely one of Earth's more beautiful designs! I love partnering with the greatest designer of the Universe! 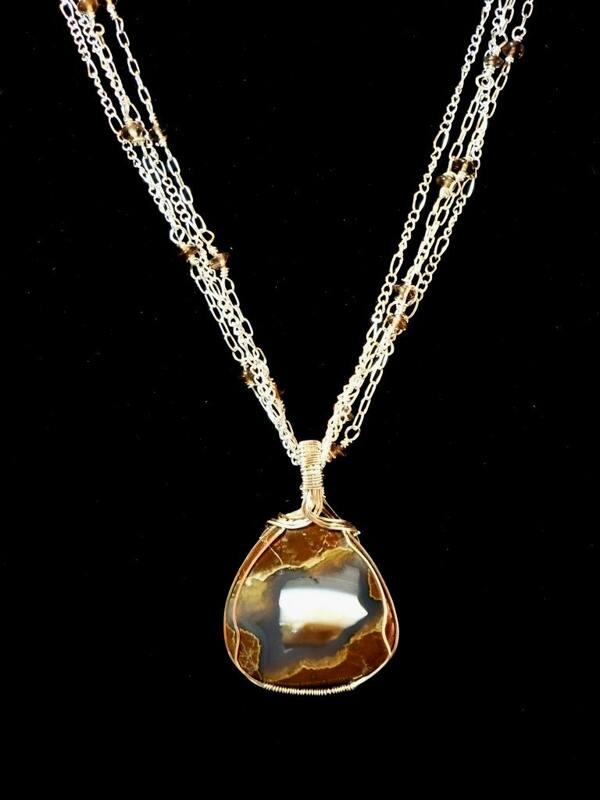 The pendant is 59 x 41 x 7.4mm and has a very high shine. 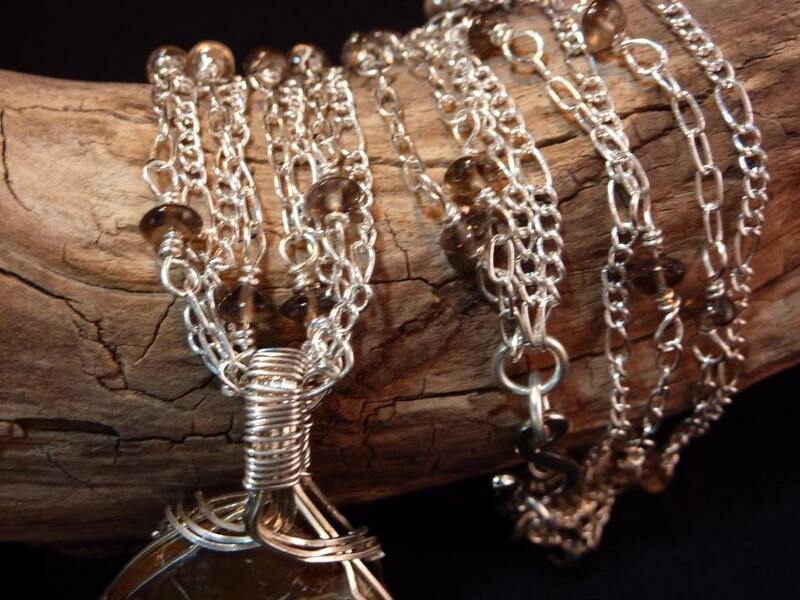 It is wrapped with sterling silver, and I hand made the smoky quartz wire-wrapped chain to enhance it. The chains are fine silver plated. The stone comes from Richardson Ranch in Texas. 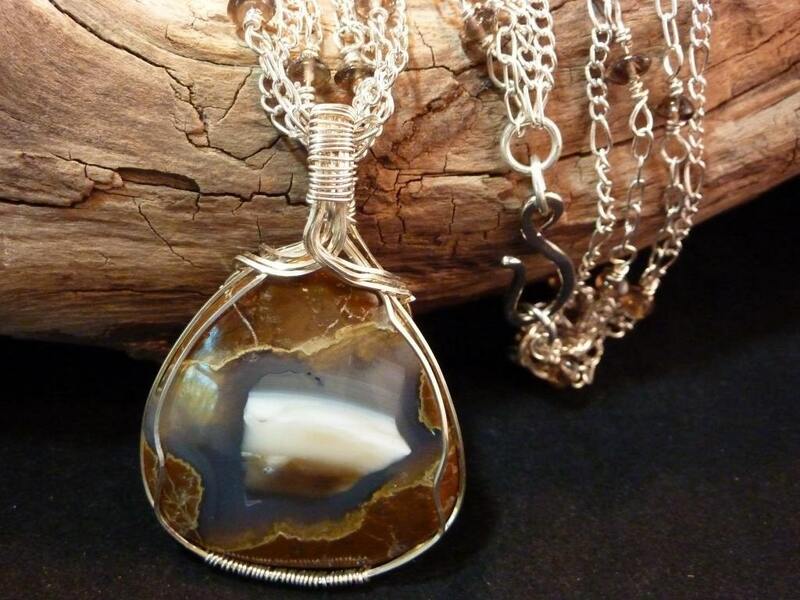 Agate like this is a very grounding, calming and harmonizing stone. It is excellent to use cleanse and stabilize the aura. Whether the effects of stones and crystals are real or merely a placebo effect is unknown. All we know for certain is that the use of gemstones in healing goes back centuries. And we know that modern science has discovered some surprising applications for the unique properties of certain crystals as all stones and crystals are made up of the same things that make up our bodies! Shipping charges cover shipping and handling. All items are sent via first class mail in a bubble envelope with delivery confirmation and insured. I will email the confirmation number to the buyer for their ease in tracking. Third party shipping is available at no extra charge. I am very sorry for the high price to ship outside the US, but that is what it costs me and I would like for everyone who likes my work to be able to buy it. CarolesArt strives to provide the highest quality jewelry at the best possible price. If you are not completely satisfied, I will refund the purchase price within 14 days of the transaction. Buyer assumes all shipping charges. If you have any questions or comments, please don't hesitate to contact me. I also love to do custom orders and will gladly create any item to suit your needs. I can provide almost any type of stone, cab or crystal that you would like or can work with your favorite stone that you have collected. Thanks for shopping!